Phil Nobile on the Misconduct of Chancellor Carmen Farina, and on the Cheating at Cobble Hill, Circa 2006 Which was covered Up. Badly. 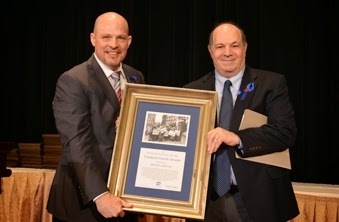 I met Phil Nobile when he was a re-assigned teacher/member of the 25 Chapel Street rubber room, and I worked for the UFT as a Special Representative who had the job to visit the rubber rooms and talk with the UFT members there. Phil was certainly a talker. We shared our many facts about Carmen Farina, who "retired" in 2006 to spend more time with her family, and her husband Tony. (If you believe this I have a bridge to sell you.) 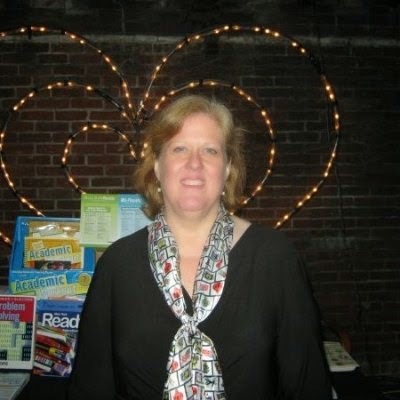 She was forced out by NYC DOE then Chancellor Joel Klein when she became a liability for the health, safety and welfare of the education mafia known as the NYC Department of Education. I worked with Carmen while my youngest daughter attended PS 6 in Manhattan, and Carmen Farina was Principal. The only people Carmen liked were those people who became her personal servants. I was never one of those, but I did enjoy working on the arts funding program I designed for the Annenberg Challenge For The Arts grant, given to PS 6 and PS 198 for three years, at $75,000/year. The only part of the management that I did not have any part in was the financial flow - the getting and giving of money. Carmen has, to this day, never revealed where the money went. I asked her PS 6 AP on May 23, 2000 where the money was, and that afternoon Carmen called me up at home and screamed the worst, most obscene words at me that I have ever heard. My mom, had she known, would have taken a bar of soap and washed Carmen's mouth out. (My mom died in 1998) After about 20 minutes of listening to this hysterical rant, I hung up on her. I also reported her to the NYC Department of Education Office of Family Engagement for violating the NY Law on School Leadership Teams (SLTs). She was reprimanded, and removed from the school in February 2001. 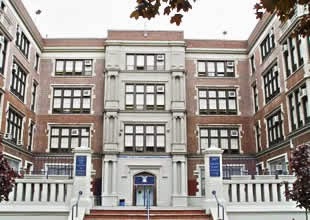 Everyone at PS 6 was happy, outside of her little army of "Sturmabteilung" or brownshirts. One of her army members was Kathy Pelles, a major player in the saga detailed by Phil Nobile. 2. His story, involving cheating on tests, and the sudden turnaround of the story from cheaters getting reprimanded to cheaters not cheating at all, made no sense other than that Carmen was allowed to use the Office of Special Investigations to change the facts of the case to suit her needs. A shocking coverup. Changing grades is also a violation of Education Law 225, but the NYC Department of Education really doesn't seem to care about things like that. The law often just gets in their way. (Unlawful acts in respect to examinations and records). Are you not professionally and ethically bound to hear evidence of official misconduct, especially when laid in your lap and challenging the integrity and competence of the Chancellor? Lest you assume that I am a crank and the Chancellor beyond criticism, you should know that UFT President Randi Weingarten appointed a committee in 2008 to vet my complaint against Special Commissioner of Investigation Richard Condon’s revisionist report dissenting from my allegations of Regents cheating and cover-up at the Cobble Hill School of American Studies, a cover-up that reached into Ms. Fariña’s Region 8 Superintendent’s Office. Incredibly, she declared to OSI and later swore to SCI that she never knew a thing about a criminal Regents scandal at Cobble Hill. Why would a Superintendent make such an absurd claim a` propos a school she oversaw led by a principal she appointed? The answer is simple: What she did not know, she could not be blamed for covering up. Ms. Weingarten’s vetting committee consisting of then UFT Secretary Michael Mendel, then New York Teacher investigative reporter Jim Callaghan, and NYSUT attorney Chris Callagy determined that my 142-page complaint proved that Mr. Condon’s report was fraudulent and, consequently, that his exonerations of Ms. Fariña and other DOE officials were undeserved. For your information, I attach the excerpt on Ms. Fariña from the 2008 complaint, my updated article “The Carmen Farina Nobody Knows,” as well as my April 29 statement to the panel. If this material does not convince you that Chancellor Fariña is unfit for her high office, or at least worthy of further investigation based on the 10 questions posed at the close of “Nobody Knows,” then you are not doing your job and, in effect, joining her cover-up. Thanks for your consideration. 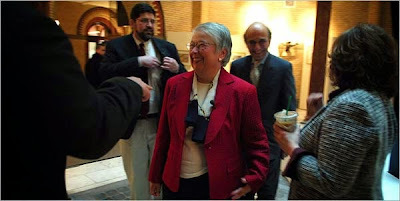 New Schools Chancellor Carmen Farina was up to her neck in a Regents cheating and cover-up scandal at the Cobble Hill School of Americas Studies when she was Region 8 Superintendent in Brooklyn in 2004. Farina was questioned by two separate agencies—the DOE’s in-house Office of Special Investigations (OSI) and the Office of the Special Commissioner of Investigation for the NewYork City School District (SCI), a unit of the Department of Investigation(DOI). And now that Farina is Schools Chancellor the public also needs to know whether she is worthy of the city’s and Mayor de Blasio’s trust. This cold Regents case has an amazing but true twist. Farina’s OSI interrogator was Lou Scarcella, the muscular ex-NYPD homicide detective currently accused of railroading countless murder suspects in Brooklyn. Although renowned in police circles for extracting confessions, he could not inveigle one out of Farina under the peculiar circumstances of their encounter. Still, her answers did not ring true. Her amnesia regarding what she knew and when she knew it seemed too precise. Nevertheless, Scarcella tracked the cover-up right to Farina’s door in the person of LIS Pelles, her office mate at Region 8 headquarters on Livingston Street. Pelles admitted concealing the cheating allegations from investigators and, purportedly, from Farina and her successor Superintendent, Marcia Lyles. Scarcella felt that Pelles’s tale of a total office blackout was improbable. Why would a LIS ever withhold such red hot information? He was sure that she duly informed her superiors of the tribulation at Cobble Hill and that like Pelles they kept investigators in the dark in violation of Mayoral Executive Order 16, SCI’s Reporting Obligations, and DOE procedures. As much as he preferred to nail the big fishes, the buck stopped with Pelles in his report. Apparently, there was scant enthusiasm at the top of the DOE for playing hardball with these VIPs, especially since Farina had recently ascended to Tweed where she sat at the right hand of Klein as Deputy Chancellor for Teaching and Learning. Showing consciousness of guilt, Capra quickly skipped town without speaking to Scarcella or demanding an audit that could conceivably prove her innocence. She was subsequently fired from an AP job on Long Island for concealing her suspension from the DOE. So much for the cheating charge and Capra’s poor character. SCI’s Reporting Obligations carries a warning against hampering investigations: “Interference with or obstruction of the Special Commissioner’s investigations or other functions shall constitute cause for removal from office or employment, or other appropriate penalty. Predictably, George’s simulated, paperless detective work unearthed neither tampering nor cover-up. Set up as a false accuser, I made an end run to the State Education Department that in turn cast overwhelming statistical doubt on Capra’s Regents grades, and thereupon pressed Superintendent Lyles to arrange a genuine inquest into my allegations. Scarcella’s 30-page report, crammed with verbatim interview notes from all the players, was dated May 25, 2005. Despite slamdunk evidence hooking Capra, George and Pelles, there was no rush to discipline. Klein’s DOE had a notorious soft spot for prodigals in management. Weeks went by, but nothing happened. Scarcella and I feared the stall was just more cover-up. Maybe nothing would have happened if somebody had not leaked a copy of his suppressed report to the New York Times in late June, somebody probably inside OSI, maybe Scarcella himself, though he always denied it to me. Was Pelles’s soft landing less a punishment than a reward for taking a bullet for her Superintendents, that is, for maintaining beyond all logic that she shielded Farina and later Lyles from news of alleged crimes in a school they supervised, led by a principal Farina had personally appointed, just as she was transitioning to Tweed to replace Diane Lam who was fired in a conflict of interest mess? As implausible as Pelles’s version seemed, consider the beneficial effect: what Farina and Lyles were not told, they could not be accused of covering up. Pelles was their alibi, but did it have legs? Read on. OSI Case # 04-2907 did not die a natural death. It sprang back to life as SCI Case #2005-2006 soon after the Times broke the Cobble Hill story on July 1. (“Principal Hid Fraud on Tests In Brooklyn, Officials Say”). A confidential source channeling Scarcella’s frustration told SCI that “the cover-up extended to higher ranking officials including then Region 8 Superintendent Marcia Lyles and then Deputy Chancellor for Teaching and Learning Carmen Farina.” This tip set off a 23-month, no expense spared review of OSI’s substantiations. Give me a break. My early verbal warning was the professional equivalent of a bomb threat. What could be more important to a first year principal than news of criminal activities in his building? In addition to absolving George for his brushoff in 2003, Deinhardt overlooked his subsequent bad acts in 2004, that is, covering up NYSED’s game changing letter, my memos on Capra’s cheating ring, and the incriminating emails. N.B. George did not testify that he “was busy and distracted.” Contradicting Deinhardt’s state of mind invention, he swore that our conversation never happened. Nevertheless, Deinhardt’s non-acquittal acquittal shifted the Zeitgeist. Klein cleaned house at OSI even before Condon released his report that stung Director Theresa Europe and her Deputy Tom Hyland for “completely failing in their oversight of Scarcella” and Scarcella for being “biased from the onset” and “acting as an agent of the complainant.” Europe was demoted, Hyland fired, and Scarcella forced to resign. Despite portraying me as the Moriarity of Cobble Hill with 600-plus mentions, mostly unflattering, Condon did not charge me with misconduct or recommend any penalty, not even a letter to my file for slinging mud at immaculate educators. Although Klein treated his own people like roadkill, he sheathed his wrath with me, the scoundrel who mistook himself for a whistleblower. Wonder why. It is counterintuitive to suppose that Condon’s sleuths headed by Special Counsel Eileen Daly would crank out a brazenly bogus report that, in effect, whitewashed the Cobble Hill crimes, exculpated wrongdoers, and heaped all the blame on the OSI trio and me, though strangely had no comment on the four teachers who corroborated me. Why would an outfit established to root out corruption in city schools corrupt itself by throwing a Regents case? Rather than speculate on the politics behind SCI’s revisionism, it would more productive to examine their forensics, in particular, their take on Scarcella’s rack of smoking guns catalogued above. Only then can the public realistically deduce, a` la Weingarten, which agency botched the case and Farina’s part in it. Invoking the reasonable person standard, SCI did not have a snowball’s chance in Tahiti of subverting OSI’s substantiations … unless they argued that multiple eyewitness, both friends and foes of Capra, were not credible, that damaging documents were not covered up, that NYSED’s analysis did not count, that emails did not mean what they literally said, and that George and Pelles did not break all the rules around reporting corrupt and criminal conduct. -Capra’s “points” for “garbage” email: SCI downgraded this ur-text to a footnote and somehow failed to gain comment from Capra on its meaning during two interviews, only three words of which were quoted. She described her relationship with Cohen circa October 2005 as “personal and tumultuous,” which was probably a reference to their broken engagement in the wake of Scarcella’s report. If she was questioned about the accusations of her teachers, NYSED’s letter, her reckless disregard for an audit, and her subsequent masquerade on Long Island, matters central to the case—her answers were missing from SCI’s report. There was a dum-dum bullet inside this smoking gun—my kickoff email to Cohen. On the evening of June 19, 2002, we chatted on the phone about our virgin experience with Regents grading earlier that day. Both of us were surprised by the casual tampering that went on. After hanging up, I made a final point via email: “Hector (Colon) should go to work for Enron after what he did today. Good thing (then UFT Chapter Leader) Terry (Swords) wasn’t in room.” We picked up the cheating thread the next day. I wrote: “Last night you said there was a lot of hanky-panky in Global corrections. I only noticed the scrubbing at the end on a few cases like (Student A). Did I miss something?” Cohen’s answer was not: “I don’t get the Enron reference and what do you mean hanky-panky? I don’t know what you’re talking about.” Instead he went with the flow: “The whole thing is a sham. Their essays were terrible all around and received points when they should have gotten ZERO.” Nothing about rubrics. Husband Cohen can blow smoke around his meaning, but mine was unequivocal: there was cheating in June 2002. At the time, I was in my AP’s good graces and buddies with Cohen. He and I sat on the committee that interviewed her for appointment as Assistant Principal. “If only our department were filled with teachers like you, hard-working and sincere, my job would be cake. I really mean that,” she e-mailed me on June, 11, 2002, a week before Regents. In this super clubby atmosphere why would I whip up a mean, make-believe Enronesque scene reflecting terribly on my friendly AP … with her boyfriend already? -three confessions: Two of the three personal admissions of tampering were left standing without challenge. SCI did not speak to Leardi or comment on his three-peat of guilt to George (email), the Superintendent’s office (hand delivered letter), and Scarcella (interview). Colon attempted to assert that she (directed teachers to cheat), but in the end, he admitted that he changed scores of his own accord. First, the reasonable person would understand Capra’s cryptic order to “take care of” already graded exams to mean only one thing—(wink, wink) tampering. The Information Booklet for Scoring Regents Examinations in Global History and Geography and United States History and Government neither requires nor recommends nor even mentions, and therefore could not be construed to permit, re-reading exams close to passing. Only math and science Regents mandate re-reading when the score falls between 60 and 64. Second, let’s get real. How likely is it that “of his own accord” an untenured teacher would risk his career by changing grades in full view of his AP and without the AP catching on? N.B. SCI provided no alternative interpretation for “take care of” and apparently did not ask Capra about it. Second, SCI neglected to confirm Scarcella’s enhanced interrogation with the third person in the room--Arthur Solomon, Cohen’s UFT advocate. “It never happened,” Solomon insisted. “I would have stopped Scarcella if he had acted as badly as Cohen testified. That’s my job.” And who is more credible—a UFT rep with no reason to lie or a new husband with every reason to deny past statements inimical to his bride? Lastly, if Cohen is to be believed, he was a fabulist of genius, instantly adlibbing in a panicked state a comprehensive account of fictitious crimes orchestrated by his inamorata that coincidentally matched the statements of his colleagues. “This has been hell for me,” Capra told the Times. “In a heartbeat someone can accuse you of something falsely.” Like the man she married, I suppose. -three eyewitness statements: SCI ignored two of the three eyewitnesses—neither Kaufman, a former Navy pilot, nor Swords, a former chapter leader and member of the Principal’s cabinet, were interviewed. Thus their OSI statements confirming cheating remained inviolate. As for me, despite major huffing and puffing about my motive, timing, zeal, undisguised contempt for Capra, and tight association with Scarcella, SCI produced no evidence backing Deinhardt’s theory that I cooked up the cheating story to checkmate Capra’s plan to rate me out of the system at the end of my upcoming probation in June 2004. If I wanted to save my job, making an easily disproved false complaint was not very bright. A swift audit of the exams that were still in the building could have instantly exposed my perfidy. Showing consciousness of moral certainty, I proposed an audit to George in two early memos and later to Klein and Condon through my former City Councilman David Yassky. I also appealed to Katz’s superior, former NYSED Assistant Commissioner Jean Stevens. None agreed to this no-brainer. As a last resort, I asked Weingarten to contact Regents Chancellor Merryl Tisch. “Merryl and I talked—she said she would look into it,” Weingarten emailed me on July 29, 2009. That was the last I heard. A thought experiment: an examination of evidence X will prove or disprove a criminal accusation. The accuser suggests, argues, begs for an examination of evidence X. But the accused never demanded an examination that would possibly prove their innocence, if indeed they were innocent. Whom to believe—the accuser who says, “Look at X, please,” or the accused who say in effect, “Please, don’t look”? You don’t have to be King Solomon to decide who is more credible. Further, SCI found no contradictions or inconsistencies in my OSI statements, memos to George, interview with the Attorney General’s Office, and voluminous emails and faxes to myriad city and state officials. Every comma of my story stood up. Neither Capra nor George nor Pelles said a word about me in SCI’s report. Even their sympathizers could not come up with anything unsavory in my three-year history at Cobble Hill. Yes, I loathed the ground Capra walked on, but so did others. Coincidentally, on the same day that I gave George my first cheating memo (Jan. 26, 2004), two members of his cabinet—special ed coordinator Judith Alexander and Swords, then running the 9th grade Ramp Up program--met with George to protest her brand of leadership. In a memo to the ad hoc School Improvement Committee Alexander wrote: “We kept hammering the same point back to him—that if he doesn’t take a visible stand against Capra he is guilty by association and is losing the trust of his staff along with their respect. … If Capra keeps terrorizing staff, then he has not kept his word.” Without a hint of irony Cohen cracked to SCI that Scarcella and I were “in bed together.” I much prefer his earlier testimonial telling Scarcella that I was a “muckraker,” which was a compliment coming from a U.S. history teacher. Nonetheless, I acknowledge a hiccup in my hearing testimony. Unable to poke holes in my story, George’s sneering counsel badgered me about my peer relationship with Scarcella. (I had published investigative pieces in the Times, New York, Esquire, Village Voice, the Weekly Standard and New York Review of Books.) Flailing about for something to twist into suspicion, she alighted on phone calls, as if that had anything to do with anything. SCI highlighted the exchange: “Nobile admitted speaking with Scarcella more than once by telephone. He said ‘maybe’ they spoke more than 10 times, but he answered, ‘I don’t recall’ when asked whether it was more than 20 times.” What the hearing transcript could not convey was my level of derision. Fed up with the counsel’s strategic misdirection, I substituted sarcasm for sincerity. You had to be there. The Javerts of SCI did not rest until they counted the exact number of calls and gratuitously footnoted them: “An analysis of Nobile’s telephone records revealed 114 calls to Scarcella’s telephones between May 2004 and July 2006. An analysis of Scarcella’s telephone records revealed 121 calls to Nobile’s residence between July 2004 and July 2006.” Notice the padding: Scarcella’s inquiry was completed in May 2005, but calls were counted for more than a year later. While on the subject of my bromance with Scarcella, a blinding obsession of both Deinhardt and Condon, I say all the better. Their claim that my extraordinary assistance tainted the results was unsupported and oblivious to context. After all, whom was Scarcella going to trust, me who turned over the incriminating documents or George and Lyles who covered them up? Some whistleblowers come with mere allegations like the “confidential source” who wagged SCI’s dog, and some like me come locked and loaded with—e.g., the aforementioned docs, multiple eyewitnesses, confessed wrongdoers, NYSED statistics, and topped off by a villain who fled the scene of the crime without looking back. Reproaching Scarcella for maximal brainstorming with me showed lack of imagination. I drew a roadmap based on my inside knowledge and Scarcella, on his first cheating case, doggedly drove the investigation as far and as high as he could. Even if I had ghosted his report, as SCI slyly implied, that would not change the facts on the ground. “To this day, Mr. Nobile was correct about everything,” Scarcella insisted in the Times.” (June 27, 2007) After two years of negative research SCI did not prove otherwise. So what was up with all the phoners? Investigator-to-investigator, we had a lot to talk about. In short, we were transfixed by the corruption that spread like flesh eating bacteria from Cobble Hill to the Region 8 Superintendent’s office to Tweed and crossed over to SCI, not to mention the burlesque of the George hearing. Pelles acknowledged that she told George to conduct an investigation into the complaint of Regents cheating at Cobble Hill and that she did not report the allegations to Lyles or Farina. The passages on Farina and Lyles in OSI’s report were disturbingly inconclusive. With a nod from Scarcella I expressed my misgivings to Chief Counsel Michael Best who oversaw the DOE’s Legal Services Department including OSI. In a July 11, 2005 email I lobbied for an expanded investigation because the two ladies, “when their memories were working, gave nonsensical answers to Mr. Scarcella's extremely limited questions.” If not, I promised to appeal to SCI (little did I know then…). Best did me the favor of forwarding my skeptical message to SCI which had already been tipped off to “a high level cover-up” by a confidential source. Scarcella and I were not alone in smelling a rodent. Was Farina that spacey? Quite the opposite. “A beloved and at times feared administrator, Farina seemed to know everybody in the nation's largest school system and has an uncanny ability to recall students from decades ago,” Herszenhorn observed in the Times on the occasion of her premature departure from Tweed. (“Top School Aide Becomes the Latest to Step Down,” April 27, 2006) Why would this razor sharp, hard driving executive fall into a fugue state when asked about dramatic turning points in a scandal synchronized with her elevation to Tweed? On not recalling when she learned of my allegations, that is, whether during or after her Superintendent’s tenure in Region 8. It is unlikely that Farina did not remember when she was informed about Cobble Hill, especially when the question was refined to pre or post arrival at Tweed. First, if the news arrived while she was still in Brooklyn, would she not have notified investigators asap? After all, she told Scarcella that “standard operating procedure” in her office “required reporting tampering allegations to O.S.C.I. and the state.” Since she made no such report, she could not have known about Cobble Hill when she was Superintendent … unless she was lying. Second, the last thing she needed as she started up at Tweed was a criminal cloud over a school she supervised. If Pelles had spared the bad tidings during this sensitive transitional moment, Farina could not possibly forget because she would have slipped into Tweed without nasty a Regents mess gnawing at her heels. On not recalling whether Lyles, her successor in Region 8, spoke to her about Cobble Hill before mid-April, that is, before the state stepped in. If Farina said, “Yes, I remember that Lyles gave me a heads up in that time period,” she would have wrapped Lyles and herself in a cover-up because neither contacted SCI. A “No” could have caught her in lie, if contrary evidence emerged. “I don’t remember” was an easy dodge. In her first couple of weeks at Tweed, that is, from mid-March to mid-April 2004, news about Regents cheating at Cobble Hill would have landed like a ton of bricks and lodged in her head, unforgettably. On not discussing the “specifics” but just “general background” with Lyles regarding Scarcella’s request to expel George from Cobble Hill pending completion of his probe. I can’t wait to start sending visitors to see your school and to support the work, as well as to recruit students to your school. Allegedly, for the last five months, April through August, Lyles has kept all the Cobble Hill developments off Farina’s plate. But now, in September, with Scarcella on the prowl, she finally called her former and current boss. George’s fate was in Farina’s hands. Yanking him would be a harsh blow. Not only would he suffer humiliation, she would be embarrassed, too, just as she was taking charge of the Chancellor’s education reforms. Naturally, Farina would be curious, personally and professionally. What had George done? Did Scarcella have the goods? Should she stand up for him or dump him? What was best for the school? For the students? For the DOE? She waited for Lyles’s explanation. What brought George to this awful place? She needed all the facts in order to deal fairly and smartly with the situation. But Lyles offered no “specifics” and she did not ask for any? That is how Lyles remembered the phone call, too. Scarcella’s handwritten notes read verbatim: “On Sept 1, 2004, after this investigator requested Mr. George’s removal—I (i.e., Lyles) called Ms. Farina. She knew there was an investigation—we did not talk—just the merits of his removal of Mr. George.” (underline in original). But the story still did not add up: a Superintendent and a Deputy Chancellor deliberate firing a principal during the first week of school but NEVER address the reasons why. Lyles knows but won’t tell. Farina knows not, but won’t ask. Inconceivable. Or inconceivable mismanagement. And capping off Farina’s far-fetched response, was an added: “I don’t remember.” Why add that exclamation? It seemed as if she were overcompensating, distancing herself from any connection with the Cobble Hill case, even at the expense of telling such a whopper. On thinking that the Cobble Hill investigation involved inflated course grades, not Regents scores. More baloney. Squabbles between principals and APs about course grades are not the stuff of OSI concern. But it was the sort of dumb thing people say when embellishing a prior prevarication. Where did Scarcella’s interrogatory leave Farina’s credibility? To the reasonable man, strategic memory loss, aka pinpoint amnesia, is a red flag. She blanked on three questions at the heart of the alleged high level cover-up. Alone with Farina, Scarcella might have tied her in knots, but not with Hyland standing guard. Consequently, OSI rendered a no-decision on Farina, substantiating neither guilt nor innocence. Same for Lyles. Farina’s testimony was consistent with the facts in the Scarcella report. She denied any knowledge of the complaint about cheating at Cobble Hill. SCI’s 305-word interview with Lyles was similarly constricted—no questions or answers, no effort to drill down into the cover-up in the Superintendent’s office. 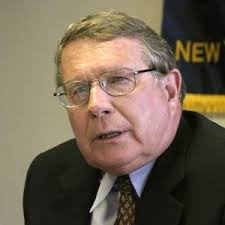 When Condon concluded that Lyles was above reproach he contradicted his own report that stated slickly but unequivocally on page three: “The Region did not refer the NYSED letter to this office.” Lyles told Scarcella “that the standard operating procedure in the Superintendent’s office regarding an allegation of Regents tampering was to report it to O.S.C.I. and the state.” So she knew the right thing to do, and chose the wrong thing. Her non-compliance was incontestable evidence of cover-up that SCI discounted. I am responding on behalf of our Regional Superintendent Dr. Marcia Lyles, to your correspondence of April 6 and May 7. According to Condon this forwarding claim was a fabrication. In reality, “we” (Lyles/Pelles) buried the state’s letter in the Superintendent’s office precisely because “we” did not want SCI or OSI getting wind of it along with attached memos on Capra’s unscrupulous m.o. Consequently, when Scarcella landed at Cobble Hill, he had no idea that Katz and I were already on the case and that Katz had demanded that the DOE via Lyles “undertake an inquiry into the allegations that were presented to us.” So what brought him to the school in the first place? During the June 2003 Regents I did in fact see Theresa Capra personally change grades that were in the 50’s to passing and sometimes even bumped up to the 70’s. I could not swear that these were not legitimate but the climate was one of desperation. The other teachers, including myself, were asked to review grades in the 60’s (all of these changes were only on the Essays). Theresa personally took grades in the 50’s and 60’s and revamped them. In some cases, for children not to her liking, she did not bump up the grades. Thus in the month of April 2004 Lyles possessed two incriminating letters--Leardi’s of the 4th and NYSED’s of the 6th. She was obliged to report both on to SCI, but she sent only Leardi’s. Why the distinction? Obviously, the state’s critique opened a can of worms, but potentially Leardi’s lament was a get-out-of-jail card. At the time, he had two strikes against him. Not only was he on mental health leave for “bipolar manic depressive disorder,” but he also admitted to a past “emotional infatuation” for the young and pretty AP. Not exactly. I told Scarcella that he was being duped by the Superintendent and the Principal who fobbed off Leardi as the lone and deluded informer. Actually, it was NYSED’s letter and the lagniappe of the Capra/Cohen emails, which I disclosed, that revived Scarcella’s interest. If this was “acting as an agent of the complainant,” as SCI overcharged, then all investigators who follow evidentiary trails proffered by whistleblowers act the same way. The greatest wound to SCI’s integrity, the dead giveaway that the agency turned rogue on Cobble Hill, was their reckless disregard for an audit, the DNA in any tampering case. At least Scarcella made an attempt, which SCI confirmed with Lori Mei of the DOE’s Division of Assessment and Accountability: “According to Mei, in May 2004, Scarcella asked that the Cobble Hill exams be rescored, but he later told her not to do so. As best Mei could recall, Scarcella said that he had enough evidence and did not need to look at the exams.” Scarcella had a different memory: “At SCI, Scarcella testified that Mei told him that she did not have the resources to re-score the exams.” Apparently, neither put their assertions in writing contemporaneously, leaving their conflict unresolved. Anyhow, if Scarcella said that he had enough evidence, he was right. His documentation was off the charts, credible enough to sway layers of DOE lawyers to do the almost unthinkable, that is, charge and prosecute a principal for covering up Regents cheating. George went to his hearing without a peep about an audit that could conceivably redeem him and expose me and the other teachers as the worst persons in the world for framing our upright AP. If SCI had followed their own witness’s advice, they would have seen what I saw—erasures on 51 of the 97 passes between 65 and 69. In an undated memo to Scarcella I identified each tampered exam and noted the mode of manipulation. In one instance, I spied multiple erasures on a Global History test whose final grade was raised from 52 to 67. The initials on the booklet were Capra’s. How did she do that? By inflating the ratings on two essays by 2 points each on a 0 to 5 scale. She changed one essay originally rated 3 to a 5, and a second originally rated 2 to a 4, and by raising two document based questions (DBQs) by 1 point on a 0 to 2 scale. Because essay scores are weighted a 1 or 2 point uplift counts for a multiple of points sufficient to reach or exceed the passing score of 65. In sum, Condon dared to say that there was “no credible evidence” of grade inflation without checking for grade inflation! This was the equivalent of a medical examiner finding no credible evidence of poisoning in a suspected homicide without benefit of an autopsy. To draw the analogy nearer to Cobble Hill, the medical examiner was aware that three people had confessed to poisoning the victim and three others claimed to have been in the room when it happened. During a second interview with SCI in July 2006, Scarcella told them something omitted from his report--Farina was a liar, and Lyles, too, by implication. Scarcella’s belated burst of candor clashed with SCI’s theory of the case that Scarcella and I were the bad guys. But if Farina lied, then there really was a “high level cover-up” and Scarcella was not a tattooed sleazeball who for reasons SCI never explored connived with an avenging teacher to take out an AP, P, LIS, Superintendent and Deputy Chancellor. Now SCI had him just where they wanted him—under oath, on perjury watch, and making the sensational claim that the Deputy Chancellor was involved in a crime. His credibility was on the line. Two immediate questions arose--what did Farina lie about and why wasn’t that in his report? Either the questions were not posed or SCI did not approve the answers because the author(s) merely noted that “Scarcella did not elaborate on Farina’s role.” That was it, seven utterly unenlightening words on a central issue in the case. Had Condon’s squad honestly sought the truth about Farina’s credibility, their report would have read something like: “Scarcella refused to elaborate on Farina’s role despite our repeated attempts to get him to talk.” In the end, SCI let Scarcella’s condemnation of the Deputy Chancellor stand without counter or comment. The same bizarre passivity obtained when SCI interviewed Europe and Hyland. Despite Deinhardt’s decision, Europe reaffirmed Capra’s cheating and George’s cover-up; Hyland testified that George and Pelles “lied.” And again, no follow-ups, as if SCI was in the tank. After Scarcella’s resignation in February 2007, he finally confided the rest of the story, that is, why he wound up allowing Farina and Lyles to walk. There was a meeting in a conference room with Europe and Best to discuss a draft of his report. “They loved it,” he explained. “Best said I did a great job. He said, ‘I know Farina lied but I can’t go after her. She’s a Deputy Chancellor.’” Lyles, a future Deputy Chancellor herself, was also off limits. I believe Scarcella’s reluctant outing of Best and Europe, but should anybody else? Where is the evidence that these lawyers betrayed professional ethics by running interference for Farina and Lyles? Ultimately, did their allegiance bend toward the DOE or the truth? Circumstantial evidence favors Scarcella’s account of this eventful meeting and, consequently, upholds a high level cover-up. First, the timing: in light of the Lam scandal it would have been a public relations catastrophe for Klein if two of his hand-picked Deputy Chancellors for Teaching and Learning went down in flames one after the other. Second, Scarcella’s interviews with Farina and Lyles were warped by the exceptional presence of Europe’s Deputy Hyland. Third, Scarcella’s uncharacteristically indecisive write-ups of Farina and Lyles were at complete odds with his incisive SCI testimony, suggesting that his OSI report was sanitized. Finally, there was Europe’s revealing May 18, 2004 email to Pelles, Lyles and Mei on the subject of my complaint that Capra and George, in reprisal for my whistleblowing, planned to discontinue me on the grounds of five straight unsatisfactory observations: “Are you looking into whether Mr. George intends on firing Nobile. Timing would really be bad for us as it would look like a straight case of retaliation. Please let me know.” Bad for us? This phrasing showed where Europe’s fealty lay. N.B. On May 25 George signed my death warrant, checking the “Unsatisfactory” box on eleven of the fifteen key performance measures on my Annual Professional Performance Review. 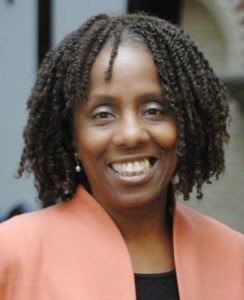 But on June 14 he changed my rating from a career-ending U to a tenure-granting S. SCI explained the astonishing turnaround in an unsourced footnote: “Lyles determined that there was not enough documentation in Nobile’s file to support George’s end of the year unsatisfactory rating of Nobile.” Rubbish. Five U observations in four months was more than enough documentation to discontinue me. Lyles’s determination otherwise implied that retaliation was George’s real motive, his only motive. But any confirmation of George’s revenge would contradict SCI’s theory that I was the avenger. The effects of this massive flim-flam were ugly: educators became cynics and low grade lawbreakers, graduation stats were falsified, the true extent of the achievement gap was camouflaged, and thousands of failing students, mostly black and brown, were granted unearned diplomas with all the baggage that can carry over a lifetime. Thanks to shaming by the Wall Street Journal, the corroded old days of Regents rigging are over. In 2011, based on research by three economics professors, the Journal reported that changing Regents grades was business as usual in New York City. (“Students’ Regents Test Scores Bulge at 65,” February 2). The economists found “that the rates of test manipulation in NYC were roughly twice as high as those in the entire state. We estimate that [in 2009] roughly 6 to 10 percent of NYC students who scored above the passing threshold for a Regents Diploma actually had scores below the state requirement.” Klein, recently resigned, declined comment on this dagger to his reputation. His successor Dennis Walcott was loudly silent, too. Some of the city’s public high schools have a dirty little secret: They’re inflating Regents exam scores to give more students a passing grade. “I’m sorry if it’s shocking for laymen to hear. Scrubbing is something we do to help kids to get their asses out of school,” a Manhattan English teacher said unapologetically. In a next day follow-up headlined “Klein Vows To End Test ‘Scrubbing,’” the Chancellor declared: “There better not be any fudging on the Regents numbers. I'm certainly prepared to enforce (the rules against cheating) . . . If people are trying once again to take shortcuts, we've got to put an end to that." Apparently, these words of warning were his first and last on the taboo topic. As a result, the cheating continued to be universally tolerated until the Journal’s devastating exposé embarrassed the Regents into beefing up test security. Intramural grading is now prohibited—teachers can no longer “scrub” their own students’ exams. Instead, all Regents are shipped off to central locations for scoring by random teachers. Still, the culture of cheating remains wide and deep and adaptable. Any teacher will tell you. Farina and Lyles are not the first superintendents of urban school systems to be hit with cheating scandals. Beverly Hall was indicted in Atlanta, Michelle Rhee was accused though never charged in Washington. But Farina and Lyles, now Superintendent in Jersey City, would be the first to gain promotions afterward, and is that such a good idea? In this era of gun-to-the-head accountability in which careers live and die by pass rates, cheating will continue to prosper one way or another. On my weekly rotations as an Absent Teacher in Reserve in Brooklyn high schools I frequently hear about pass quotas in the 70 to 80 percent range, and if they are unmet, things happen to teachers. One told me that her principal called her in after second marking period to say, “I want twenty more students to pass your history classes” and, inevitably, twenty more did. Another told me that non-compliance led to the loss of lunch period. Is anybody, including Farina, checking on the inordinate fondness for 65s in course grades? Is the Archbishop of Cantebury Catholic? Where to go from here? Administrator and teacher cheating is so entrenched, watchdogs so out to lunch, and Tweed so apathetic that only a Truth Commission, as proposed by UFT President Michael Mulgrew, can hope to unclothe the sordid history of Regents tampering and prevent cheating binges in the future. Ideally, the Chancellor would be the lead-off witness. 1 Let’s talk about Cobble Hill, which goes to your credibility and competence. You told Scarcella that you couldn’t remember whether you were informed of the cheating allegations when you were Superintendent of Region 8. Since you made no report to investigators, it follows that you did not have a clue when you were Superintendent. Otherwise, you would have contacted investigators, isn’t that right? So why would you say you couldn’t remember? 2 Regarding Scarcella’s demand to remove George in September 2004, you told Scarcella that you did not discuss “specifics” with Lyles “just general background. I can’t remember.” Can you remember why you didn’t insist on specifics? After all, you appointed George, supervised him, lauded him, owned him. Weren’t you curious to know what your Principal was accused of? How else could you advise Lyles? Wasn’t it professionally irresponsible to deliberate George’s fate with your eyes closed? Finally, do you remember why you allowed George to remain on the job? 3 Last January the New York Times attributed your “rise” in the DOE to “a hands-on and blunt management style.” It appears you were anything but on the Cobble Hill case. You told Scarcella that you never asked Pelles why she covered up the cheating allegations from you, as well as Lyles and SCI. You said, “I was at Tweed. I was not her superior.” Yet you were her superior’s superior. As Deputy Chancellor for Teaching and Learning, weren’t you every teacher’s and every administrator’s superior? Pelles was your hire in Brooklyn and she disgraced your office on your watch. Why so hands-off on such a crucial matter? Where was your blunt management style? 4 You also told Scarcella that you didn’t know that the “tests [under investigation] were Regents. I thought it was something between Mr. George and an A.P. with inflated grades.” That’s sounds farfetched. Who could have given you such wrong information? In your four decades with the DOE, have you ever heard of another instance of OSI’s investigating a quarrel between a principal and AP regarding inflated school grades? Anyhow, did you follow-up after you were told that that school grades were the issue? If not, why not? 5 Regarding discipline, Pelles received a letter in her file for cover-up, but George got a 3020-a for the same misconduct. Why the disparate treatment when he was following her orders? 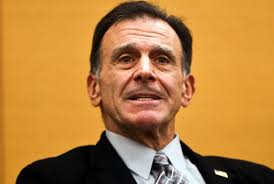 As Deputy Chancellor in 2005 when Scarcella’s report was released, you were in a position to recommend, if not assure, equal treatment, at least to avoid the appearance of favoritism that flowed from Pelles’s slap on the wrist. Did you happen to recommend termination for Pelles? If not, why not? Why George and not her? At least he reported up the chain, which Pelles said she did not. 6 What about Lyles’s role in the cover-up? According to SCI, she suppressed NYSED’s damaging letter containing Nobile’s allegations by failing to forward it to SCI. Presumably, she did not forward it to you, either, because you “thought it was something between Mr. George and an A.P. with inflated grades.” Why didn’t you discipline Lyles for violating DOE procedures? If Pelles was reprimanded because “she did not adequately advise” George, shouldn’t you have disciplined Lyles for not adequately advising you, her superior? 7 Since the disputed Cobble Hill Regents exams have never been officially rescored, if you remain Chancellor, will you call for an audit? And if it meshes with the six Cobble Hill eyewitnesses, the state’s assessment, the Capra/Cohen emails, and ultimately OSI’s substantiation, will you place Capra, now an associate professor at Mercer County Community College in New Jersey, back on the DOE’s ineligible list? Will you likewise appropriately discipline George, still a principal, and Pelles, now a network leader? 8 During your time in the DOE to what extent were you aware of the “dirty little secret” of Regents tampering that went by the term of “scrubbing”? As Superintendent and Deputy Chancellor, what did you do to protect the integrity of Regents grades? Would you agree with Steven Levitt’s saying that “teacher cheating is rarely looked for, hardly ever detected, and just about never punished”? 9 The reigning “dirty little secret” involves school grades. Principals are known to set pass quotas for teachers which is certainly illegal, not to mention unethical. How will you stop this corrosive practice akin to Regents cheating—write a memo to principals, invite teachers to blow the whistle, identify schools with 65 bulges and check for cheating, all of the above? 10 Granted your willfully ignorant oversight in the Cobble Hill case, how can the city and the Mayor rely on you to run an honest DOE that will no longer cheat mostly minority students of authentic educations? Since I am unable to rouse the proper authorities, I have a doomsday plan to force my case. I will call the Special Commissioner and Chancellor liars and cheats in prominent places, thus forcing the Department of Education to charge me with “conduct unbecoming a teacher” and , consequently, granting me a hearing with all the accouterments of a trial. Thus I’ll trick my enemies into open court and cross examine the _____ out of them. It’s a no lose proposition since I’m retiring in June, in part, to exploit my Hollywood connections.